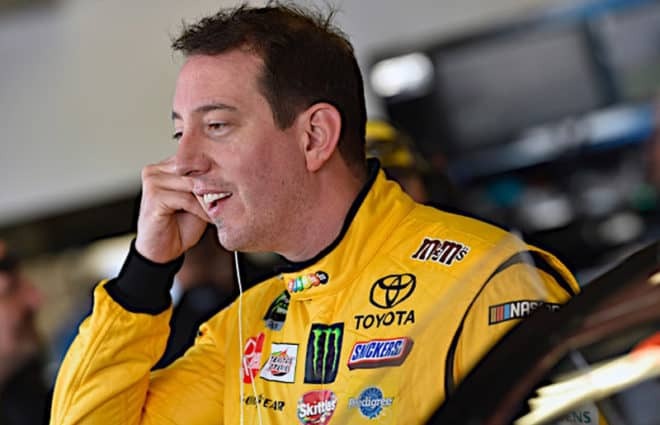 Kyle Busch has done a few things over the years, good and bad, that have made my jaw hit the floor in shock. But in the 2012 Bud Shootout at Daytona International Speedway, he did it three times in less than two hours. First, there was an incident where he turned across Jimmie Johnson‘s nose with 28 laps to go. Busch slid sideways on to the apron in Turn 2, throwing a shower of sparks. He appeared to save the car, only to start sliding again, then save it once more before straightening out. It was an unbelievable piece of driving! With two laps to go, Busch did it again. After a bump gone wrong from Jeff Gordon, Busch went sliding through Turn 4, briefly saved his car, but ultimately slid off the banking as the caution flag flew. Still, Busch kept the No. 18 out of the way while several others crashed in an ensuing incident that ended with Gordon barrel rolling down the frontstretch. 4. Well, at least he was honest? Next NASCAR Mailbox: Which Non-Playoff Driver in 2018 Has the Best Chance of Making it in 2019?